This week I started a new Free-mo module set called the Boat Yard. The design was a few years in the making. I was inspired by the Norfolk Southern (ex Norfolk & Western, ex Wabash) carfloat operation across the Detroit River between Detroit and Windsor Ontario. It should be pointed out that from the beginning all ferries on the Great Lakes and the Detroit River were referred to as “boats”, even though many were very large. 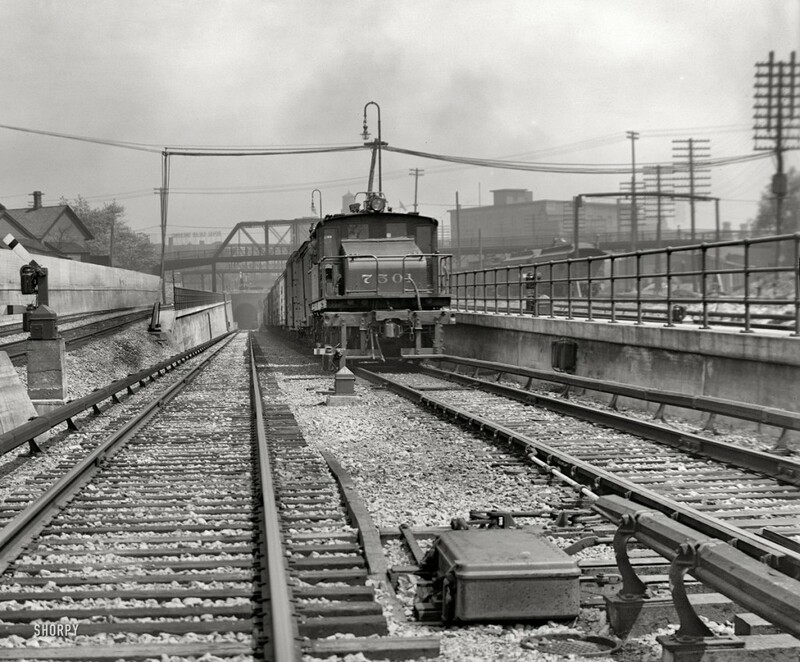 Floating/ferrying railroad cars across the Detroit River goes back over 100 years. 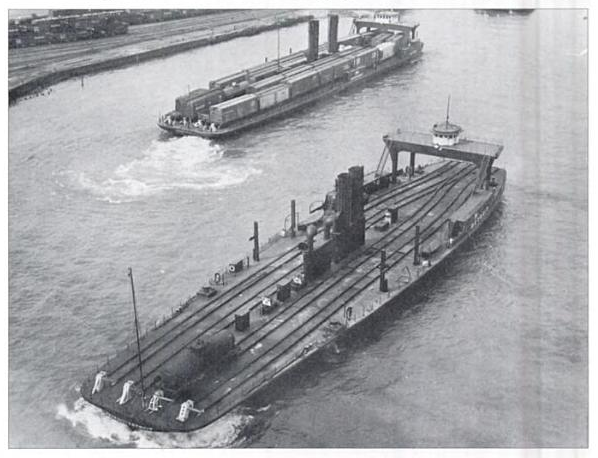 In the early days, the railroads used ferries (as opposed to non-powered floats/barges) to transfer railroad cars across the river. Around 1900 the Grand Trunk Western, Pere Marquette and Michigan Central all had cross river ferries. 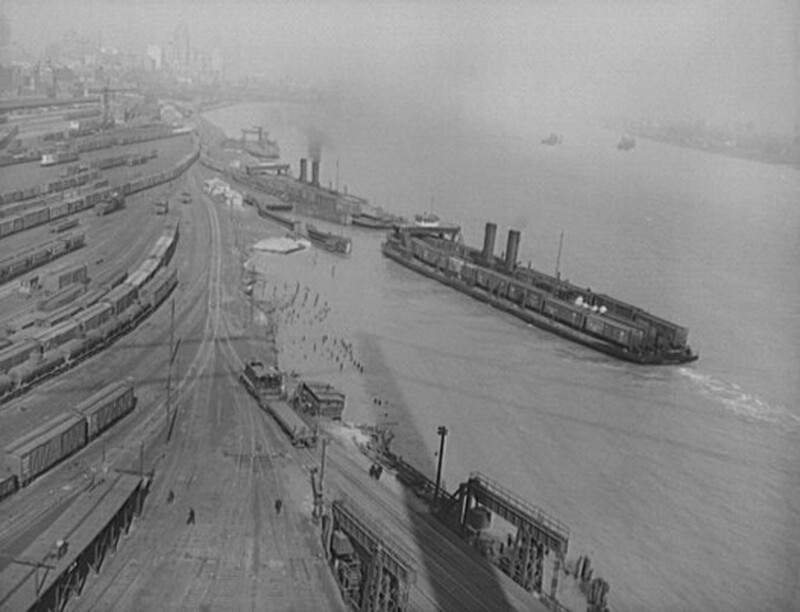 The Wabash contracted with the GTW to handle its freight across the river. The Michigan Central (with New York Central engineering) opened a tunnel under the river in 1910. Much of its ferry equipment was sold to the other railroads which would continue into the 1990’s. The C&O (Pere Marquette) continued with Car Ferries in Detroit until the 1960’s when it acquired trackage rights through the tunnel. In the 1970’s the GTW lost its yards and ferry slips to make way for the Renaissance Center and downtown development. About that time the GTW acquired traffic rights through the (now Penn Central) tunnel. 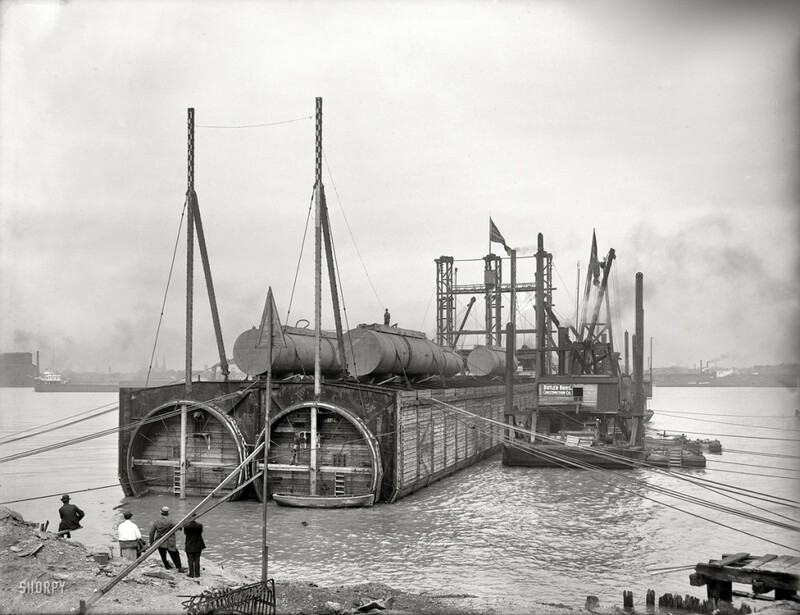 Railroad tubes to be sunk in Detroit River around 1908. Detroit River tunnel entrance was near the Michigan Central Depot and used electric locomotives until the diesels came. 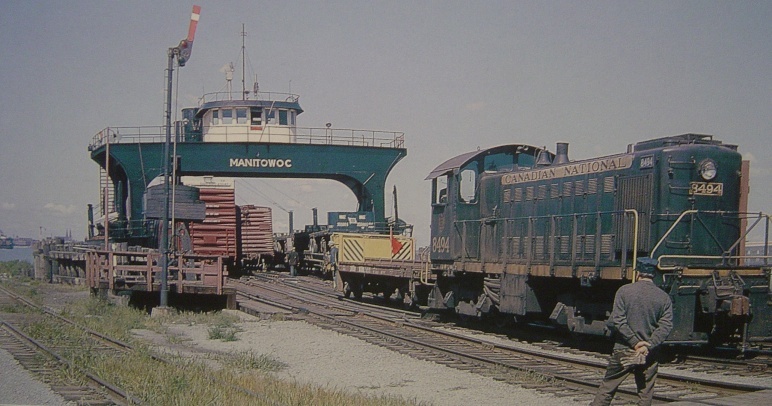 The Wabash took over the remaining ferry slips and the best equipment from the GTW which also consisted of ex Michigan Central/NewYork Central ferries/carfloats. In the 1960’s the Wabash was merged into the Norfolk and Western. 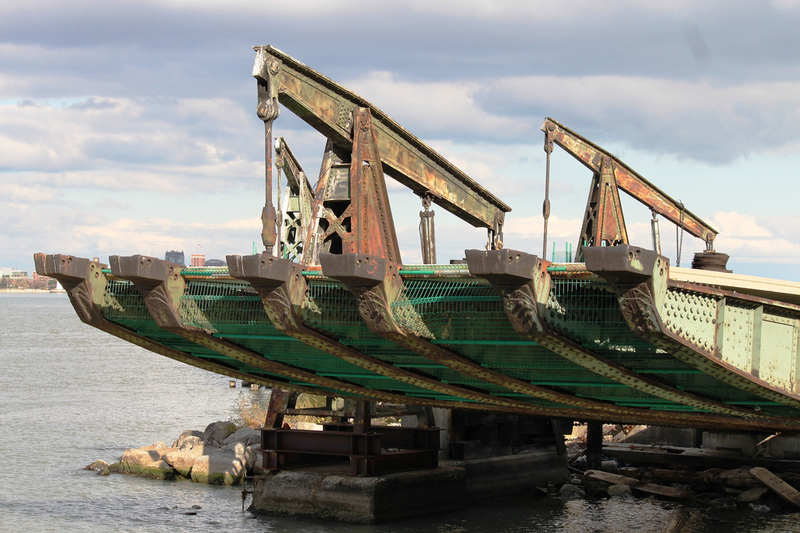 By this time all three remaining ferries had their engines removed, the decks were rearranged from three tracks to four. The ferries were now carfloats and used tugs to shuttle the boats across the river. 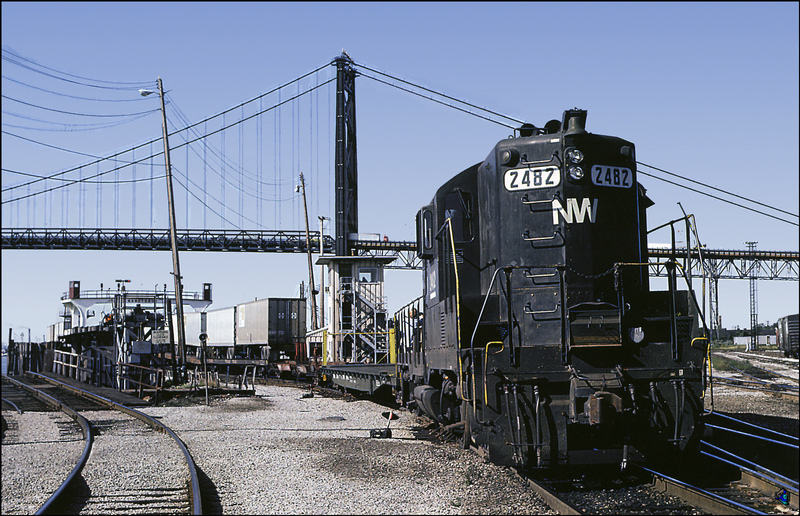 This change allowed the Norfolk Southern to continue the carfloat operation into the 1990s. The day finally came when trackage rights and the enlargement one of the bores of the old tunnel made the carfloats unnecessary. The “Boat Yard” I am modeling is at the very southern end of what was once a very large and extensive network of yards serving several boat slips and the downtown Fort Street Union Depot. 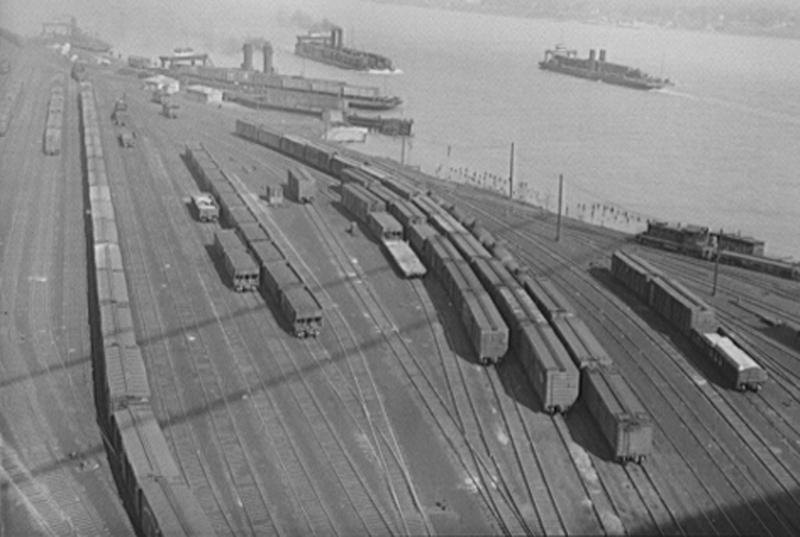 Several railroads converged on this waterfront creating a rail network that stretched for miles along the waterfront. Today all that remains is a small portion of the yard and the old ferry slips. There are still a few industries in the area and the remaining yard is used for storage. Track plan was created in Sketchup 2015. Click plan for larger view. The design is “inspired by circa 1985” of the prototype and is not meant to be an exact replica. Even though the yard is much smaller than it once was, to model it at scale would require a space of 45 feet. I have used selective compression to get the layout down to 25 feet. I have done this by removing one slip, reducing the number (and length) of the yard tracks, moving the lead track for the slip and use a smaller three track carfloat. I have also added locomotive/car service tracks to add to operation. Even with these changes, I believe the Boat Yard should operate very similar to the prototype. The track plan was designed for operation. Trains arriving from the West enter the yard at the top. A long arrival track allows the engine to escape at one end while a yard engine can take the train apart and immediately begin weighing and sorting cars into the appropriate holding tracks. A primary concern for sorting cars is the weight. Carfloats must have the weight evenly distributed to avoid taking a swim. The ferry Detroit prior to being converted to barge. A second yard lead at the bottom of the module enables a second operator to load and unload from the ferry. When unloading, the operator may deposit all cars on the outbound tracks. Cars for loading are pulled from the south end of the sorting tracks. Canadian National unloading on the Canada side. Note the use of an idler car. The East end of the module contains a small engine service and rip track. This allows for locomotives to layover while trains are assembled for a return trip. I have also added an industry to the South East slip lead track. This is actually in keeping with the prototype as the Detroit Free Press printing plant was actually serviced by the same track. My divergence from prototype was to extend the switch lead up behind the plant to get enough space to service the tracks without lengthening the module. A little disruption by having to switch the plant will make the operations just a little more interesting. View of the underside of the bridge. In order to be a fluid part of a larger Free-mo setup and not just a dead end on the layout, I added a 45 degree single track diverging route on the West end of the module. As in the prototype, this could lead to another industry but with Free-mo, we always need more curves and transitions from double to single track. I started construction this past weekend and hope to have the new module ready for the National Train Show in Indianapolis, July 2016. That is just 9 short months away and with my schedule so far this year it will be tight. I intend on building all the base modules at once and then finish each from West to East. The current design requires 29 turnouts. To save cost I will attempt to hand lay as many as possible. I will also be using the Walthers carfloat and bridge kits to save time. I will be posting updates as I have them so stay tuned!